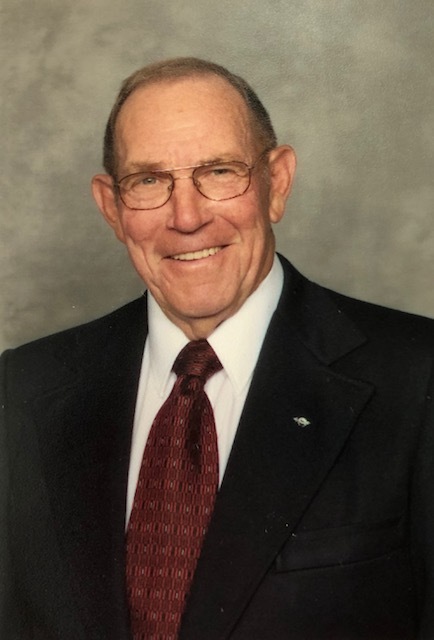 Donald W. "Bill" Drake 86, of McConnelsville, passed away at 12:35 a.m. August 29, 2018 in McConnelsville. He was born April 19, 1932 in High Hill, Muskingum County, the son of the late Fred Drake and Opal Gallogly Drake. He was retired from Central Ohio Coal Co. after 23 years, he was a carpenter and farmer his entire life, former Deputy for the Morgan County Sheriffs office, Army Veteran of the Korean War, life member of DAV Chapter Buckeye State #8, life member VFW Post 4713 Malta, life member American Legion Post 24 McConnelsville, Golden Eagle member Aerie #2187, 50 year member of the Corinthian Lodge #111 F&AM of McConnelsville, 50 year member of Scottish Rite Valley of Cambridge, Alladdin Temple Shrine of Columbus Ohio, Morgan Shrine Club, Charter member of the M&M Jaycees, and past member of the M&M Fire Dept. Bill was very well known in the Morgan County area and never met a stranger. He attended Ark Springs Baptist Church. He is survived by his widow, Carol Ervin Drake; Stepson, Bob Stutes of Zanesville; sister Mary Lou(Charles) Gander of Columbus; and several nieces and nephews. In addition to his parents, he was preceded in death by a sister, Alice Jean Billy and brothers, Fred "Ted" Drake and H. Dean Drake. Friends may call 4 to 7 p.m. Friday, August 31, 2018 at Miller-Huck Funeral Home in McConnelsville, where services will be held Saturday, at 1:00 p.m. with Pastor Galen Finley officiating. Masonic services will be held at 7 p.m. Friday at the funeral home. Burial with Military honors by the American Legion Color Guard will be in McConnelsville Cemetery. Memorial contributions may be made to the American Legion Post 24 Color Guard. Online condolences may be sent to the family at www .miller-huck.com.